The colossal turbine is more than 200ft long and weighs more than 500 tonnes. 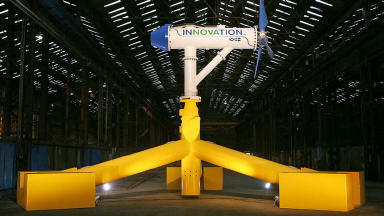 The world's largest tidal turbine will be trialled in Orkney. The colossal SR2000 floating turbine is more than 200ft long, weighs over 500 tonnes and is expected to generate enough electricity to power about 1000 homes a year. 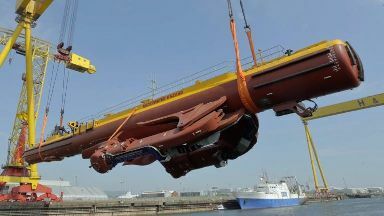 It is now undergoing final checks at Haston Pier before being towed out to sea and connected to the European Marine Energy Centre (EMEC) early next month. Energy minister Paul Wheelhouse, who visited the site on Tuesday, said: "Scotland's capacity to generate tidal power is considerable and this device has the potential to be a real game changer for the industry, not only here in Scotland, but across the world. "Floating technology like this is likely to be easy and cheap to install, maintain and decommission. This will increase the commercial viability of tidal energy, which is crucial as we continue to transition towards a low carbon economy. "It is encouraging that Scottish Government investment has helped move the project to this point. I congratulate ScotRenewables on reaching this significant milestone and look forward to staying up to date on the testing programme." The EMEC was created to allow developers to test prototype devices like the SR2000, which has been specially designed to cope with fast tides in places like Scotland, northern France and Canada. Its 12-year development cost more than £25m, including over £1.25m from the Scottish Government. 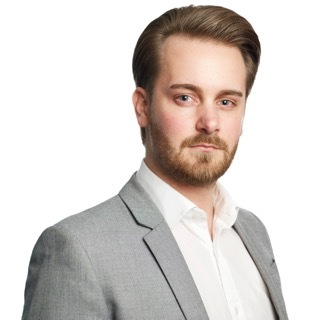 Lang Banks, director of environmental organisation WWF Scotland, added: "News that the world's most powerful tidal turbine is to begin trials in Orkney underlines the important role Scotland currently plays in the development of marine renewables globally. "We hope the sea trials are successful and the findings are helpful to the wider industry as it seeks to find cost-effective ways to harness the pollution-free power of our seas." Earlier this week, a Shetland-based tidal turbine system became the first in the world to deliver electricity to the national grid. Nova Innovation said the project represents major progress in using tidal energy as a long-term source of predictable renewable power.